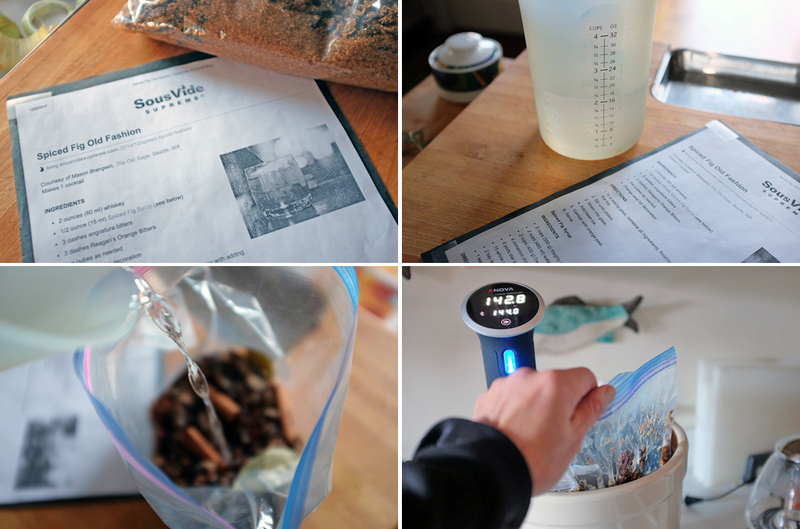 We are wrapping up 2017 with a article on two things we love: sous-vide and DIY. The idea was suggested by RainyDayReaders Gordon and Diane. 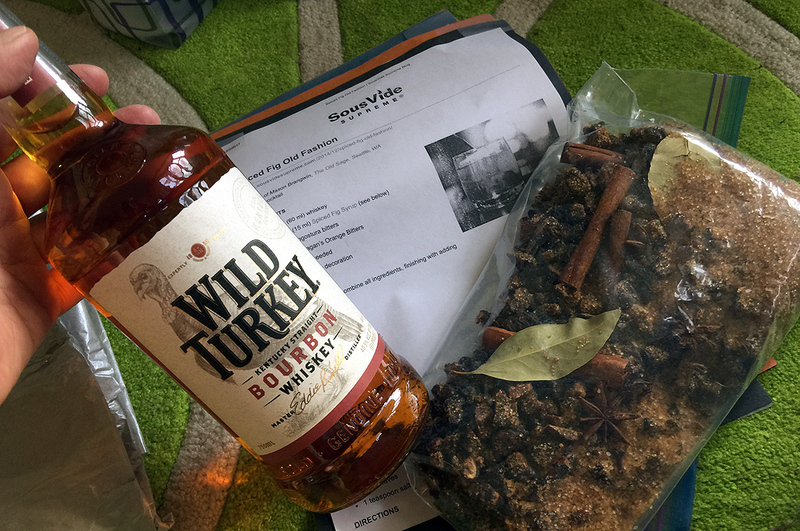 They stopped by with a bottle of Wild Turkey, a pre-mixed bag of ingredients, and drink-making directions. Yeah, these are our kinds of readers!!! 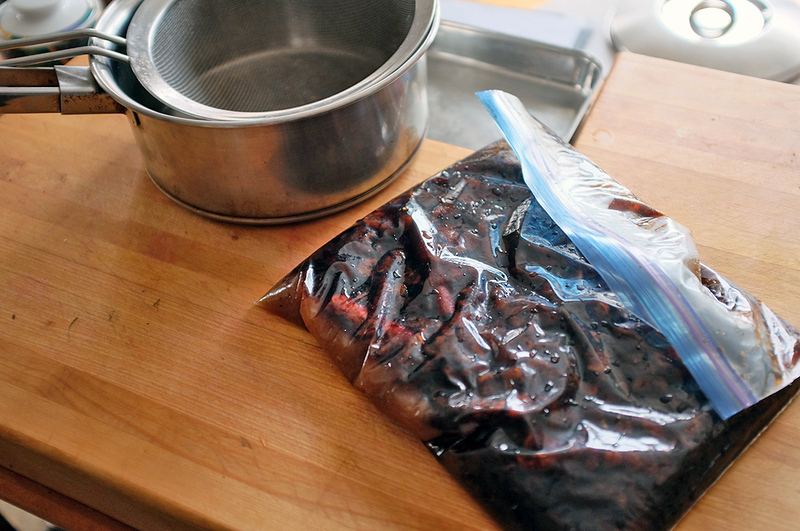 The basic idea is: put a bunch of stuff into a Ziplock bag, add water, sous vide the hell out of them to extract as much flavor as possible, thus making a flavored syrup that can then be used in concocting delicious cocktails. Who WOULDN’T want to try a DIY project like that??? The full recipe is here from SousVide Supreme. Preheat the SousVide water to 144F/ 62C. We use the immersion heater from Anova. Remove the air using the displacement method and zip the seal. Submerge the bag in the water bath and cook (i.e., just leave it alone) for at least three hours, until the sugar dissolves. 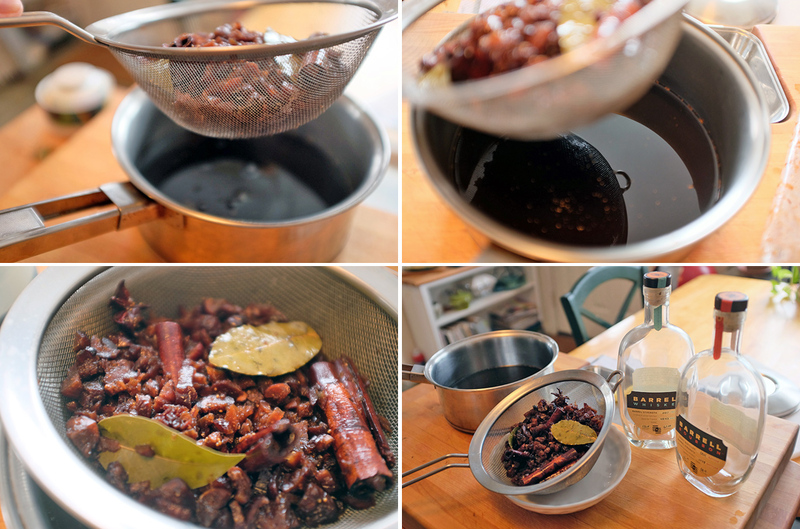 We cooked it for seven hours, taking it out every two to massage the bag to mix the ingredients and break up any clumps. 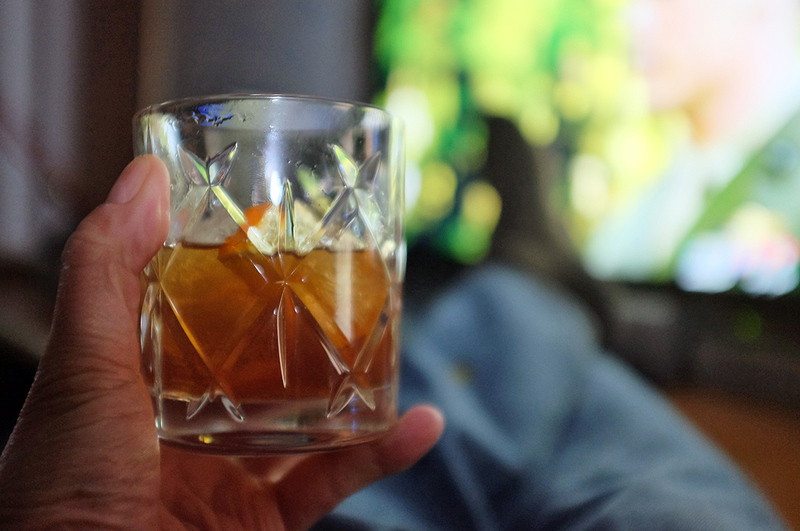 Strain into a clean stoppered bottle and chill. We have saved the cooked ingredients because we want to find ways to use them (cookies, toppings, who knows). 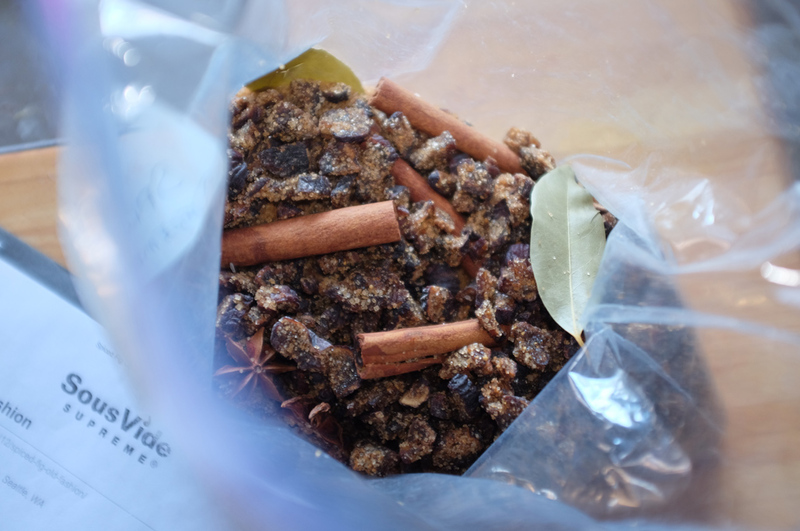 We will probably have to pick out the tougher bits such as the bay leaves, cloves and anise, but the fig pieces were like candy! 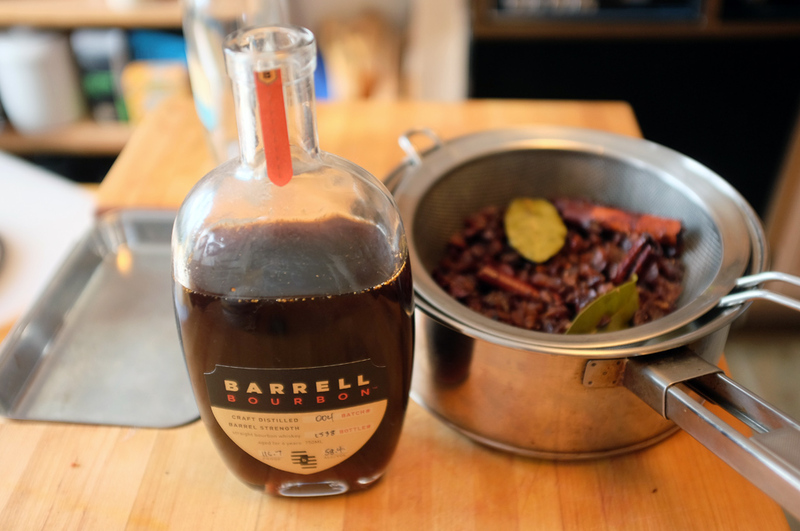 Luckily/sadly for us we had some old Barrell Bourbon bottles lying around (lucky that we had them, sad that they were empty); their 750ml size was the perfect size for bottling the 2 cups of syrup. 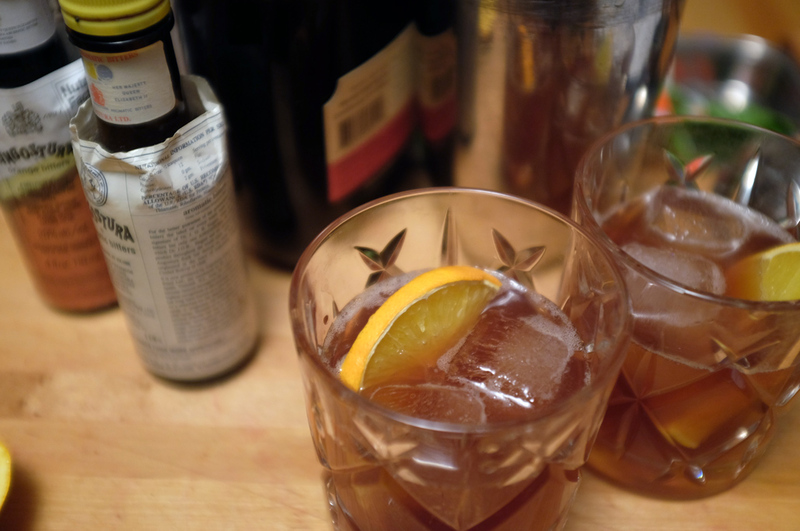 In a mixing glass, combine all ingredients, finishing with adding the ice. Yes, that’s a quote from Wonder Woman. 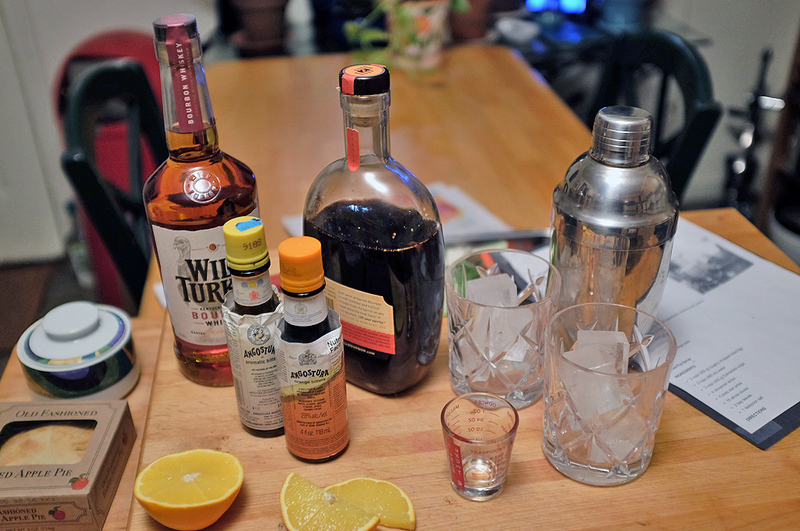 Now go make yourself a drink.